Viewing for this auction will be on Tuesday 14th 10 am until 7 pm and on the morning the of sale from 9 am at The Auction Rooms. This will be a live auction and is also online with The-Saleroom and I-Bidder.com Lots to date include 100 lots of Maling Pottery, Collection of Silver, Period and 20th Century Furniture, Wurlitzer Juke Box, Small Collectables and Curios, Boxing Memorabilia, Etc. Etc. Etc. Viewing for this auction will be on Tuesday 7th 10 am until 7pm and morning of sale from 9am. 700 Lots of Modern and Traditional Furniture and Furnishings Including, Stag, G Plan and Ercol, Reproduction, Pine and Oak, Lounge and Occasional Furniture, Leather and Fabric Suites, Paintings Prints and Mirrors, Modern Art, White Goods and Other Electrical Appliances, LPs and 45s, Books, Dinner and Tea Sets, Cut Glass, Small Collectables and Curios, Boxes of Bric a Brac and Kitchenalia, 350 Pairs of Fashion Trainers, Mobility Scooters and Stair Lifts, New Bunk Beds, Home Desks and Flat Pack Furniture, Novelties and Toys, Dried Flowers, 2 Massage Beds, Ham Radio Equipment, Flat Screen TVs, Audio and Music Equipment, Etc..
GF Foods (York) Ltd. Trading as “Feel Free” produces a wide range of Gluten free products which are available in many of the leading supermarkets and online, the business 2015 had an annual turnover of £668,391.00. Selby, Gluten Free Doughnuts this site capable of producing 15,000 per eight hour shift. Worthing, produces Sticky Toffee Puddings. Lemon Meringue Pie, Sweet and Savoury Pies as well as many other lines. 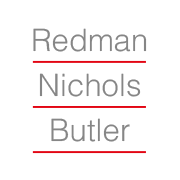 Gilbert Baitson have been instructed to market the business for sale by the joint Administrators Mr John Butler and Mr Andrew Nichols of Redman Nichols Butler. Timed Online Auction of Woodworking Machinery, Tools and Satellite Communication Equipment Etc. 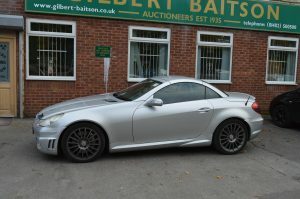 Viewing for this auction will be on Tuesday 14th 10 am until 5pm. 200 lots of NEW Catering Consumables which Include Stock of new Cutlery, Mugs, Tea and Coffee Pots, Stainless steel and Plastic Tongs and Ladles, Salt and Pepper Pots, Tableware, Cake Domes, Etc. Followed by 200 lots Commercial Kitchen, Catering and Take-away Equipment, including Butchers Band Saws, Vacuum Packer, Falcon Steam Oven, Inka Charcoal Oven, Archway Kebab Grill, Carvery and Buffet Counters, Refrigerated Counters and Displays, Bar Equipment, Bottle Coolers and Glassware, Taylor Ice cream and Milk Shake Machines, Display Freezers, Bean to Cup coffee Machine, Tables and Chairs, Stainless Steel Sinks and Preparation Units, Etc…. 600 Lots of Modern and Traditional Furniture and Furnishings Including, Bedroom, Dining, Lounge and Occasional Furniture, White Goods and Other Electrical Appliances, Small Collectables and Curios, Paintings Prints and Mirrors, Etc.. Followed by Modern and Traditional Furnishings, 30 Casio and Other Keyboards, Gas BBQs, Philips Sunbed, Lady’s and Gent’s Cycles, White Goods, 2 Gas Ranges, Bric a Brac, Small Collectables, etc…. Lots will include a fine selection of Antique and Contemporary Oriental Furniture by Maruni Hiroshima, Chinese Wedding Baskets, Bamboo Brush Pots, Buddhas and Gods, Paper Mache Games Set, Carved Ivory Dragon, Soap Stone and Other Fine Pieces Including Silver Dragon Bowl . English and European Period Furniture, Georgian Bureau, Monks Bench, Fold Over Tables, Davenport, Arts and Craft Furniture, Oak and Pine Country Style Furniture, Pine Vestry Chest, Persian Carpets and Rugs, Oils, Water Colours and Limited Edition Prints by Continental Artists, Jack Rigg, Steven Dews and Others, Light Fittings, Small Collectables and Curios, Coins, Militaria and Maritime Items, Ships Compass, WWII Model Destroyer, Masonic and Lodge Memorabilia, Walking Sticks and Silver Topped Canes, Smokers Stands and Cabinets, Tantalus, Brass Scales, Oil Lamps, Silver Cutlery, Photo Frames, Cruet Sets, Tea Sets and Candlesticks. 500 lots of Modern Furnishing, Garden Furniture, Garden Tools, White Goods, Oreck, Dyson and other Vacuums, Small Collectables and Curios, Bric a Brac, Collection of History and Other Hard Back Books, Paintings, Prints, Water Colours and Mirrors, Rugs and Carpets, Light Fittings, Wall Clocks, China and Glassware, Step Stool, Hand and Power Tools, Etc..
Gilbert Baitsons are proud and privileged to be chosen by the Amy Johnson Festival to sell the collection of Amy Johnson Moths that have been on display around the city. The auction will take place on Saturday 6th May 2017. 2016 was the 75th anniversary of the death of Amy Johnson, Hull’s flying heroine. Born in Hull in 1903, Amy Johnson CBE was one of the most influential and inspirational women of the twentieth century. She was the first woman to fly solo from England to Australia and set a string of other records throughout her career. 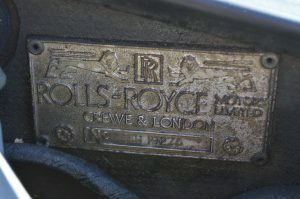 Other Interesting items, Steam Locomotive Name Plate “ALFRED”, Travel Posters, Ships Bronze Bell, 2 Flint Lock and 1 Percussion Pistols, Gough G115 Motorcycle Seat, Avery Sweet Scales, Signed Footballs, Hull Daily Mail Print Plates and Cartoon Illustrations, Industrial Pieces, Etc…. Lots will includes, LG, Toshiba and other Smart TVs, Home Audio and Entertainment Systems, Designer Goods, Home Appliances and White Goods, Household Consumables, Lap Top Computers and Printers, Children’s Toys, Hand and Power Tools, Garden Equipment, Furnishings, Rugs and Carpets, Etc….. The entire contents of the Structural Timber Engineering Workshop, including Wadkin BRA Cross Cut, Wilson 30DNR 296D Band Saw, Wadkin NM846 Universal Cutter Grinder, Wadkin CD491 Cross Cut, 2 Bag and Single Bag Extraction Units, Wadkin 5 Head Moulder and NQ722 Sharpener, SCM SI15F Panel Saw , Intertherm Thermal Bonder, Elliott Pillar Drill, Wadkin 24’’ T630 Planner, Wilson Rip Saw, Robinson 187DF/T 1200 Band Resaw, Boere TKKAP1300 Pass Through Sander and other Machinery, Mafell, Bosch, Makita, Holtz Her Hand and Power Tools, Stock of Timber Redwood, Teak, Oak and Others, Adhesives and Work in Progress, Glulam Beams, Sash Clamps, Setting Out Tables, Trestles, Trolleys and Industrial Barrows, Lifting Equipment, Office Furnishings, Drawing Board, Etc…. Mig and Tig Welders, Folding Machine, Engineers Lathe, Ladders and Steps, Hand and Power Tools, Audio Equipment, Mixers, Peavey and Marshall Amps, Office Furniture, Garden Tools, Hardware, Lawn Mowers, Modern and Traditional Furnishings, Pine Bedroom Furniture, Dining Tables and Chairs, Occasional Furniture, White Goods, Bric a Brac, Cycles, Dinner and Tea Services, Cut Glass, Copper, Brass and Plated Ware, Paintings, Prints and Mirrors, Light Fittings, Etc…..
Lots to date include, Baby Grand Piano, Pickering Bros Milk Float, 14.2 Fiber Glass Pony. Collection of Autographs including Winston Churchill, Douglas Bader etc, Two Cased Model Hull Trawlers and Maritime Items, WWII Infants Gas Mask, Oil Paintings, Limited Edition Prints, Collectable China and Porcelain including Clarise Cliff, Shelley, Royal Doulton, Mason, Crown Derby, Poole, Brannam, and Oriental. Diecast Toys, Collection of Medals, Bayonet and Swords, Auto Mobile Ephemera, Jaguar Mascot, Bealz Oil Pump, Honey Extractor, Postcards, Coin and Stamp Collection, Tortoise Shell Mirror, Old Radios, Murano Glass, Guinness Poster, Egyptian Copper Bean Pots. Vinyl LP’s and 45’s, Beatles, Figures, Miniature Travel Clock, American Theatre and Baseball Programs – Autographed. Oil and Water Colored Prints Including WF Settle, Downie, Arthur Loke, Stephen Newton, 19th & 20th Century Furniture including Globe Wernicke Bookcase, Ercol Bedroom and Dining Furniture, Mahogany, Pine and Oriental Furniture, Collection of Silver and Gold, 1.5 ct Diamond Ring, Local Ephemera, Etc. 93 Princes Avenue, Hull, HU5 3QP. 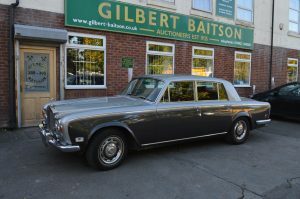 This auction will be Live and Online with Bidspotter and I-bidder viewing will be at the Auction Rooms, on Tuesday 18th from 10am until 5pm and the day of sale from 9am. 300 lots of Smart TVs, LG, Sony and Other Audio Equipment and Systems, Sony Vaio and HP Lap Tops, HP Printers, Prada, Ray Ban and Other Designer Goods, Watches and Jewellery, Household Furnishings, White Goods, Henry and Dyson Vacuums, Kitchenalia, Household Consumables, Children’s Toys, Mitre Foot Balls, Cycles and Electric Toys, Tools and Motoring Accessories, Lawn Mowers, Pop Up Gazebo, Swimming Pools, Party and Solar Lights, Garden Furniture, Garden Umbrellas, Etc. This auction will be Live and Online with Bidspotter and I-bidder viewing will be at the Trading Premises 2-6 Edward St, Grimsby, DN32 9H. On Wednesday 19th from 10am until 4pm. 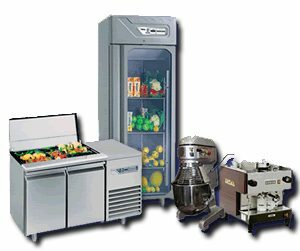 400 lots of Pioneer, Sony, Panasonic, Denon, Teac, Marantz and other Branded Audio Equipment, TVs, Audio and Video Leads, TV Stands, Engineers Tools and Workshop Equipment, Shop Fittings, Office and IT Equipment, Etc. Collections will be by appointment. Modern Office Furnishings, Desks, Tables, Office Chairs, Storage Cabinets, Office Supplies etc. This auction will be Live and Online with Bidspotter and I-bidder viewing will be at the Auction Rooms, on Tuesday 25th from 10am until 7pm and the day of sale from 9am. This auction will be Live and Online with Bidspotter and I-bidder viewing will be at the Auction Rooms, on Tuesday 8th from 10am until 7pm and the day of sale from 9am. All lots are sold as seen without guarantee or warranty and should be viewed before bidding, condition reports can be given upon request,invoices must be paid and a good should be collected by 12noon the following working day. 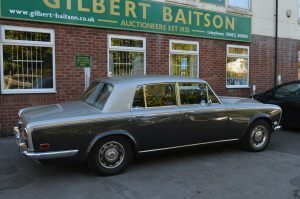 This auction will be Live and Online with Bidspotter and I-bidder viewing will be at the Auction Rooms, on Tuesday 15th from 10am until 5pm and the day of sale from 9am. Timed Auction of Stationery, Fancy Goods and More. Mount Street, (off Leeds Road) Bradford on Friday 18th August 10am until 4pm. Instructed by Solicitors To Close Estates and Other Directions. This auction will be Live and Online with Bidspotter and I-bidder viewing will be at the Auction Rooms, on Tuesday 22nd from 10am until 7pm and the day of sale from 9am. Chevrolet Matiz 56 Only 4000 Miles from New. Viewing is recommended for this and all of our auctions, all lots are sold as seen without any form of warranty or guarantee, condition reports can be given upon request. All invoice must be paid by 12 noon the following working day and goods collected within 2 working days of the auction closing. Failure to meet these request may result in the loss of your deposit. 12Noon (Staggered)Tan Shack and Gym, 40 Wells Street, Scunthorpe, DN15 6HJ. Tan Shack and Gym, 40 Wells Street, Scunthorpe, DN15 6HJ. Lots will include the entire contents of this modern and well equipped gymnasium and Tanning Studio. This auction will be Live and Online with The Saleroom and I-bidder, viewing will be at the Auction Rooms, on Tuesday 5th from 10am until 7pm and the day of sale from 9am. Period Furniture , Victorian & Mid Century Furniture, Leather Chesterfield, Brass Frame Shop Counter, Mirror Back Chiffonier, Cast Iron Bed, Carpets and Rugs, Victorian Mahogany Lined Press, Bedroom Suites , Mid Century Teak Sideboards, Dining Table, Arm Chair, Oak Carver Chairs, Display Cabinets, Nest of Tables, Bureau, Bentwood Hat and Coat Stand, Mahogany Inlaid Dressing Table, Gunn Sectional Bookcase, wall and Mantle Clocks, Victorian Salon Chairs, Carved Oak Desk, Music Cabinets, Trawler Ships and Half Ship Models, Garden Bird Bath, Oak Stick Barrels, Oil Paintings, Water Colours & Prints by W F Settle, Gary George Giclee Print, Adrian Thompson, Arthur Loke and Others. The auction will be online with I-Bidder and Bidspotter.com, Viewing will be at the Bradford Saleroom, Mount Street, (off Leeds Road) Bradford on Friday 8th 10am until 4pm. This auction will be Live and Online with Bidspotter and I-bidder, viewing will be at the Auction Rooms, on Tuesday 12th from 10am until 5pm and the day of sale from 9am. 12Noon (Staggered)Utopia Coaches Ltd, Unit 4, The Maltings, Fenton Lane Sherburn In Elmet, LS25 6EZ. This auction will be Live and Online with Bidspotter and I-bidder, viewing will be at the Auction Rooms, on Tuesday 19th from 10am until 7pm and the day of sale from 9am. 150 Lots of NEW Bedroom and Occasional Furniture, Ex Local Manufacturer. Followed by 400 Lots of Modern and Traditional Furniture and Furnishing, Including Light Oak and Quality Reproduction Display Cabinets, Leather and Fabric Lounge Suites, Chesterfield Sofa and Chairs, Dining Tables and Suites, Foot Stools, White Goods and Kitchen Appliances, Kitchenalia, Small Collectables Including China, Glass, Copper, Brass and Plated Ware, Bric a Brac, Collections of Books, Records, DVDs and CDs, Children’s Toys, Photography Equipment and Much More. This Auction will be Timed Auction on-line with I-Bidder and Bidspotter. This auction will be Live and Online with Bidspotter and I-bidder, viewing will be at the Auction Rooms, on Tuesday 3rd from 10am until 7pm and the day of sale from 9am. Followed by 500 Lots of Modern and Traditional Furniture and Furnishing, Solid Wood including Furniture by Priory, Ercol, Nathan and others, Pine, Oak and Mahogany Dining Tables, Bedroom Furniture, Ikea and Other Lounge Suites, Occasional Furniture, Roll Top Desk, Egyptian, Oriental and African Art, Table Lamps, Paintings, Prints Including Signed Limited Editions and Mirrors, Small Collectables, Plated, Copper and Brassware, Cut Glass and Crystal, Costume Jewellery, Collectable Marvel, DC and Other Comics and Traders Cards, Air Rifles and Pistol, Digital Cameras, Flat Screen Smart and other TVs, Music Systems, Roland Keyboard, Sewing Machines, Collectable Toys and Die Cast, Picnic Hampers, Tea and Dinner Services, Porcelain and Other Figures and Ornaments, Books, Records, CDs and DVDs, Etc…. The auction will be online with I-Bidder and Bidspotter.com, Viewing will be at the Bradford Saleroom, Mount Street, (off Leeds Road) Bradford on Friday 13th October 10am until 4pm. Viewing will be at the Auction Rooms Tuesday 10th from 10am until 5pm. Bradbury 2 Post 3 Ton Vehicle Lift, Bradbury Tire Changer, Tig Welder, Chop Saw, Mad Brake Disc Aligner, Hand and Power Tools, Etc…. This auction will be Live and Online with The-Saleroom and I-bidder, viewing will be at the Auction Rooms, on Tuesday 17th from 10am until 7pm and the day of sale from 9am. Lots to date include, a good selection of Period and 20th Century Furniture, Victorian Glazed Bookcase, Niendorf Grand Piano, Gunn Sectional Bookcase, Rabbit Man Rocking Chair, Ercol, Teak Sideboards, American Rocking Chair, Pine Chests, Luggage, Leopard Skin Rug, Georgian Tea Caddy, Large Art Deco Mirror, Wall and Mantel Clocks, Terrestrial Globe, Quality Reproduction Furniture. Small Collectables and Curios, Beswick, Royal Doulton, Staffordshire, Goebel, and Slyvac Pottery, Clarice Cliff Tea Set, Trench Art and Militaria, Medals, WW1 Iron Cross, Postcards, Cigarette and Tea Card, Stamp and Coin Collections, Copper, Brass and Plated Ware, Leaded Glass and Architectural Pieces, Vintage Castrol Oil Pump, 1950s Car manuals, Early Fire Alarm Bell, Bakelite Radios, Portable Record Players, Vintage Clothing, Hats and Furs, LPs and 45s. Viewing for this auction will be on Tuesday 17th October at the auction Rooms on Anlaby Road, this will be a timed online auction on I-Bidder and Bidspotter. Lots will include, a stock of Vitamin and Diet Supplements, Drinks and Health Foods, Packaging Materials, Office Chairs, IT Equipment, CCTV System, Bottle Cooler, Display Freezer, Sack Barrow, Etc.…. General Household Furnishing, Flat Screen TVs, Audio Equipment Etc. 500 lots of New and Pre Owned Furniture and Furnishings, Mid Centuray Teak, Dining and Lounge Furniture, Ducal and other Bedroom Furnishings, Occasional Furniture, White Goods and Kitchenalia, TVs and Audio Equipment, Paintings, Print and Mirrors, Table Lamps and lighting, Small Collectables, Copper, Brass and Platedware, Books, DVDs, CDs and Record Collections, Photographic and Darkroom Equipment, Costume Jewellery, Ect.. Followed by 300 lots of New and Pre- Owned Household Furniture, Flat Screen TVs, Audio Equipment, White Goods, Small Collectables, Bric a Brac and Curios, Jewellery, Etc…. This auction will be live and online with I-Bidder and Bidspotter, Viewing will be at The Auction Rooms on Tuesday 14th 10am until 5pm and the day of sale from 9am. Including 100 lots of Superior Office Furnishings, Boardroom Table and Chairs, Shaped Desks & Executive Chairs, Telephone System, Computer Systems, Filing Cabinets, Book Cases, etc. 200 lots of Christmas and Winter Accessories including Decorative Garlands, Christmas Lights, Gift Tags and Bows, De- Icer, Car Window Screen Covers and Snow Shovels. Over 250 New Items of Ladies Clothing to be sold without reserve. Viewing will be at the Auction Rooms on Tuesday 5th 9.00am – 7pm and morning of sale. 2 Back Wash Stations, 4 Gas Lift Salon Chairs, Stylists Stools and Trollies, 2 Beauticians Massage Beds, Display Units and Sundries, Household Furnishing to close three estates. The auction will be online with I-Bidder and Bidspotter.com, Viewing will be at the Bradford Saleroom, Mount Street, (off Leeds Road) Bradford on Wednesday 6th December 10am until 4pm. The auction will be online with I-Bidder and Bidspotter.com, Viewing will be at The Auction Rooms on Wednesday 13th December 10am until 4pm. Viewing will be at the Auction Rooms on Tuesday 12th 9.00am – 7pm and morning of sale. Viewing will be by Appointment only at Lockwood Street, Hull. Followed by 200 lots on Hardware, Door Furniture and Ironmongery, etc…. Viewing for this auction will be at The Auction Rooms in Hull.